One of the most important decisions any orthotic patient or amputee makes is choosing an O&P provider who can best serve them. There are many O&P companies, but just as in any service industry, some are much better at providing a superior service. Your relationship with your provider will be a lifelong experience and it should be one that instills confidence and satisfaction. You will continue to see your prosthetic provider throughout your lifetime. It is important to have a provider you can develop a good relationship with and that you believe has your best interests in mind. Open, direct communication is the center of a successful patient-prosthetist relationship. Choosing your prosthetist will be one of the most important decisions you make towards your care, recovery and support and it is important that you interview several prosthetists and decide who will work best to get you back to living life to the fullest. Remember, YOU have your choice of provider. Clinical Experience - Vital to our ability to provide the best in O&P care is the vast clinical experience of the practitioners. They are all board certified and have over 230 years of combined clinical experience. In-House Fabrication - Virginia Prosthetics and Orthotics has a full service fabrication facility at our corporate headquarters in Roanoke. In addition to this state-of-the-art manufacturing facility, all of our offices have the equipment necessary to make most repairs and modifications. Technological Advantage - Virginia Prosthetics and Orthotics is designated as a Beta Test facility by the leading prosthetic component suppliers worldwide. As the companies develop new orthotic or prosthetic components, such as advanced suspension and micro processor devices, these companies partner with Virginia Prosthetics and Orthotics to test and evaluate these new devices before they are available to the general public. 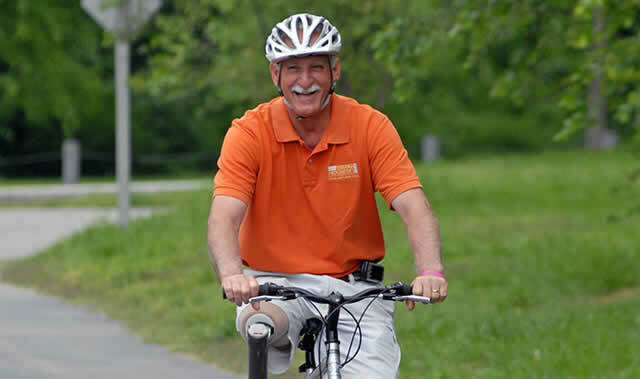 Guiding Principal - For over 40 years, Virginia Prosthetics and Orthotics has operated on the guiding principal that providing the best possible patient treatment in a professional and caring manner will enable our patients to believe in and realize their possibilities.